Polycystic Ovary Syndrome, or more commonly known as “PCOS,” has been recognized and diagnosed for over 75 years, but more than HALF of women who have PCOS have been undiagnosed or misdiagnosed. It has been estimated that approximately 1 in 10 women of childbearing age are affected by PCOS. Not only that, but PCOS is responsible for 70% of infertility issues in women who have difficulty ovulating. Those are some HUGE numbers. One known side effect of the hormonal endocrine disorder known as PCOS is that women affected are often overweight due to the metabolic imbalances associated with the disorder. So, while PCOS in general makes it more difficult to get pregnant, there is additional difficulty associated with the fact that being overweight can increase fertility problems. Abnormally high levels of androgens (aka male hormones such as testosterone and DHEA), which leads to a dramatic hormone imbalance, while also increasing cravings for sweets and decreasing a woman’s metabolism. Increased insulin resistance, which leads the ovaries to produce excess testosterone, thus leading back to the first point. But the good news is there are certain things you can do to help you lose weight if you suffer from PCOS. Specific changes in food, exercise, and lifestyle choices can really help you lose the weight you need to, and in turn optimize your fertility and hormonal health. So let’s dive into these factors so you know where you should focus your attention. Hands down the most important dietary change for women with PCOS is to ELIMINATE sugar or anything that turns into sugar in the body (processed foods, bread products, white foods, etc.). Avoiding sugar as much as possible will decrease insulin levels and will therefore help to optimize hormonal balance. The easiest way to do this is to skip the foods that are boxed, bagged, or prepackaged and start cooking at home! While it sometimes takes a little bit more time, the benefits of eating high quality nutrient dense foods that you prepare yourself will go A LONG WAY in changing the hormonal picture of your body. Focus on eating lots of clean proteins, healthy fats, a small amount of starchy vegetables and fruits, rounded out with tons of non-starchy vegetables. Instead just eat real, whole, fresh food that you cook yourself. Pick a rainbow of colors of vegetables and eat a lot of them. Eat good fats from pastured egg yolks, wild caught fish, coconut oil, grass-fed butter or ghee, traditional animal fats (like tallow and duck fat! ), avocados, and extra virgin olive oil. Eat plenty of high quality, clean, pasture-raised animal protein. Eat small amounts of brightly colored fresh fruit. Enjoy raw nuts and seeds; a variety of spices; and high-fiber, unrefined, unprocessed carbohydrates (like sweet potatoes, yams, and squash). Every meal and snack should include a high-quality protein, a healthy fat, and vegetables. Vegetables: kale, spinach, Swiss chard, lettuces, broccoli, cabbage, kale, turnips, arugula, cauliflower, brussels sprouts, etc. These foods will help you to feel satisfied and keep your blood sugar balanced, while also providing the raw materials to feed your hormones and optimize your fertility. If you are suffering from infertility, and especially if you’re coping with symptoms related to PCOS, definitely check out my brand new FREE, 90-minute workshop focused on helping you heal hormonal chaos and increase your fertility naturally, with food – skipping all of the drugs and expensive treatments. There’s a whole section on PCOS : signs & symptoms, natural remedies, and what to do if you have it. Sign up for this free webinar here. Designs For Health Sensitol: Sensitol is a unique formulation comprised of two naturally occurring isomers of inositol – myo-inositol (MI) and D-chiro-inositol (DCI) – along with alpha lipoic acid, which is designed to support normal insulin function and cellular metabolism. Inositol restores ovulation, improves insulin and glucose signaling, improves egg quality, and helps with other aspects of PCOS. Designs For Health N-Acetyl Cysteine (or “NAC): Excessive levels of oxidative stress impede normal ovarian function and new research suggest that women with polycystic ovarian syndrome (PCOS) have higher levels of oxidative stress, which may exacerbate havoc wreaking symptoms on the ovaries. By replenishing glutathione stores and neutralizing the effects of oxidants, NAC has been proven to significantly reduce hirsutism, improve insulin sensitivity, balance hormonal parameters (hyperandrogenism) and improve ovulation rates. Designs For Health Chromium Synergy: Chromium Synergy is a synergistic formula of nutrients for optimal insulin function and blood sugar control. It combines the best minerals from Albion Advanced Nutrition in a base of cinnamon powder to assist insulin receptor function and cellular glucose uptake. Chromium is an extremely important mineral if you have PCOS, as it helps to encourage the formation of glucose tolerance factor (GTF) which is a substance released by the liver and is required to make insulin more efficient. Designs For Health Magnesium Buffered Chelate: Many women with PCOS exhibit symptoms of insulin resistance and metabolic syndrome, risk factors that raise the risk for heart disease and other problems like diabetes and stroke. Low magnesium levels are often associated with diabetes, and some research indicates that a dietary supplement of the mineral, such as the one I’ve listed here, may improve insulin sensitivity, a factor in the development of type 2 diabetes and PCOS. Designs For Health Vitamin D Supreme: Vitamins D and K are essential for optimal bone and arterial health and for maintaining the immune system in proper balance. Studies have shown that women with PCOS that supplement with Vitamin D typically see improvements in BMI, menstrual abnormalities, and other symptoms related to PCOS. Designs For Health GlucoSupreme: GlucoSupreme is ideal for supporting healthy insulin and glucose levels. This unique, synergistic formula combines standardized herbs and other botanicals that are shown to support healthy blood sugar through various mechanisms, including cinnamon, corosolic acid from banaba, isoflavones from kudzu, and ginsenosides from ginseng. It also contains berberine (Berberis aristata), a compound that is highly regarded for its efficacy in supporting healthy blood glucose regulation and insulin sensitivity. While making sure that you’re eating right is priority numero uno, there are specific types of workouts that will dramatically assist with weight loss. I specifically like to recommend adding HIIT-style workouts (high intensity interval training) for women suffering from PCOS. HIIT workouts lean towards increasing your insulin sensitivity while also helping you to build muscle and improve your body’s ability to burn fat. A typical HIIT session includes alternating short bursts of high intensity exercises with low intensity exercises. An example of a HIIT session might include short sprints, alternated with periods of walking, or lifting heavy weights with short periods of rest in between. When women with PCOS are trying to lose weight, I recommend starting by adding in two 20-minute HIIT sessions per week to immediately start boosting weight-loss efforts. These can be added into your current training regime, or can be a good way to just start exercising if you’re not currently doing anything active. Strength training can also add to your progress. Focus on strength training 2-3 days per week,HIIT training at least 2 days per week, and the other days check out a yoga class, take a hike, see what pilates is all about, take a bike ride or play frisbee in the park. Just move your body! Another great idea is jumping on a rebounder (mini trampoline). This stimulates the lymph drainage system, thereby moving toxins out of the body. There are two primary lifestyle factors that women with PCOS should take into consideration when looking at how to more effectively lose weight. All women, but especially those dealing with PCOS, should focus on getting a solid eight hours of sleep per night. Not getting enough sleep can significantly affect the hormones that control hunger levels. Specifically, lack of sleep is linked to higher blood levels of ghrelin – the hormone that controls our hunger. So the higher your gherkin levels are, the hungrier you are. This of course can greatly hinder weight loss efforts. On top of that, several medical studies have recently found that sleep deprivation further reduces fat cells’ ability to properly respond to insulin. So women that are dealing with both PCOS and sleep deprivation will have an even more difficult time losing weight since both conditions increase insulin resistance. Additionally, an American Academy of Sleep Medicine research study found that sleeping less at night may increase the expression of genetic risks for obesity. So if you have any obesity in your family, as many Americans do, then sleep deprivation will add to the likelihood that those symptoms will be expressed, no matter how much good eating and working out come into play. I talk a lot on the blog about how chronic stress can negatively impact your body and hormones, and this is even more true for those women that suffer from PCOS. Stress levels are powerful. Chronic stress quickly depletes the nutrient reserves of the body, causing normally functioning systems to “shut down” (even if temporarily) so that vital functions of the body – liver, heart, lungs and nervous system – can maintain the necessary functions to keep us alive. The reproductive system is the lowest on the survival hierarchy and therefore one of the first systems to shut off. Interestingly enough, the body doesn’t deem making a baby as necessary for survival, no matter how strongly we feel that it is the right time to have a baby. For all of my clients, but especially those struggling with infertility, I highly recommend incorporating mind / body therapy techniques into their lives. Descriptions of some of my favorite mind / body therapy techniques can be found below. Try out a few of them and see which might work best for you. I know it can feel really frustrating when you’re trying to lose weight with PCOS, but I assure you that by simply adding in these dietary & lifestyle modifications, as well as the supplements listed, will significantly improve your ability to lose the necessary weight to heal your hormones and improve your fertility health. Do you suffer from PCOS? If so, was this post helpful for you? What other questions do you have about PCOS and how it might impact your fertility? Do you have any advice for other women with PCOS? Spread some baby lovin’! Sharing is caring, and I bet you have some friends who would love to read this too :). 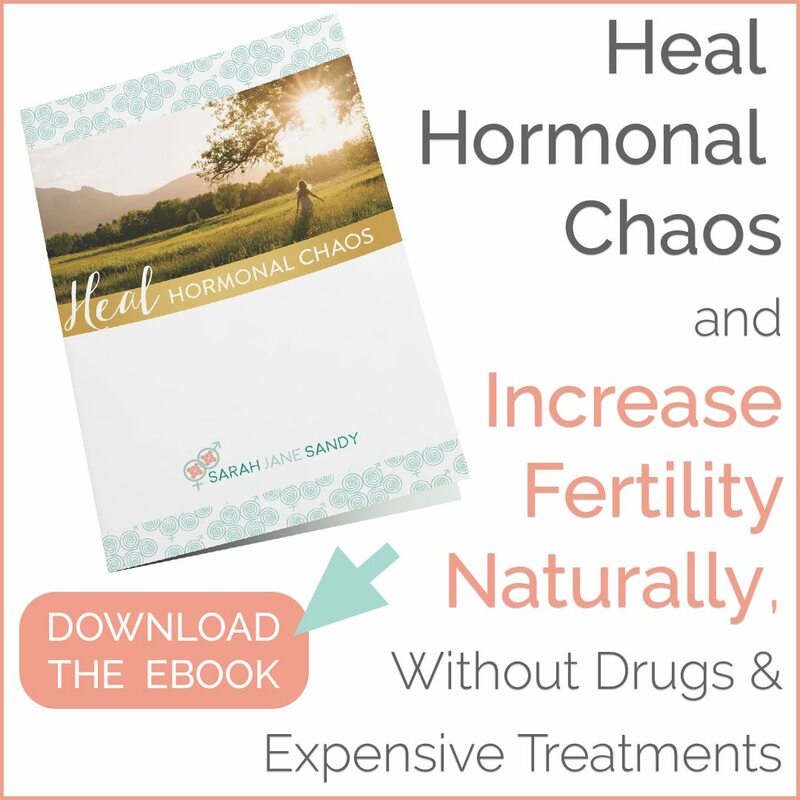 As previously mentioned in the post, this brand new FREE webinar teaches you how to Heal Hormonal Chaos and Increase Fertility Naturally, Without Drugs & Expensive Treatments! 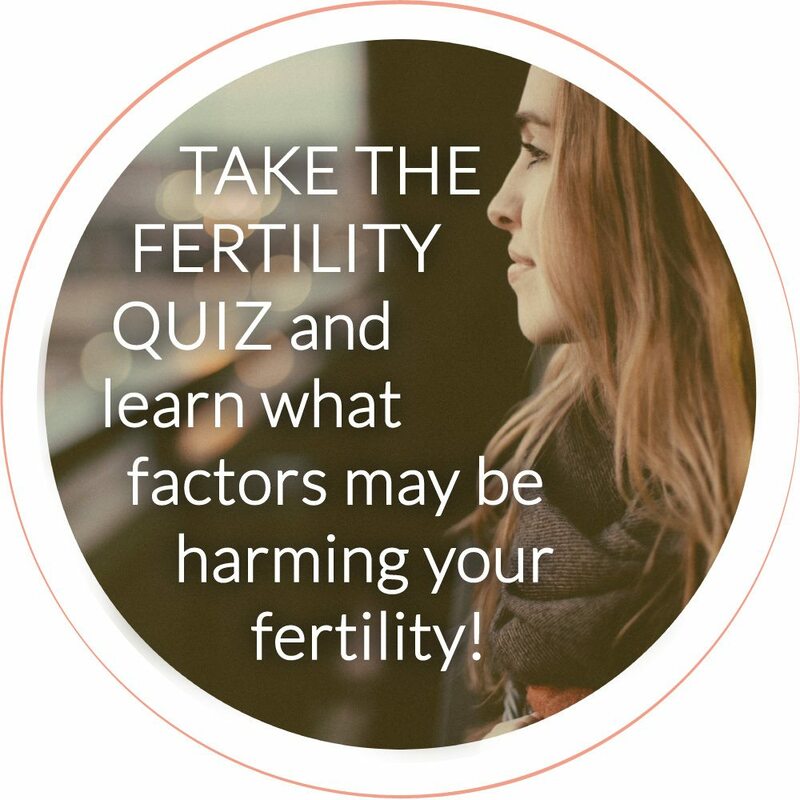 In this 90-minute, free workshop you will discover my top natural remedies to heal the six most common hormone conditions that affect your fertility. Looking to have a more in-depth conversation about how to lose weight with PCOS? Schedule a consultation with me!